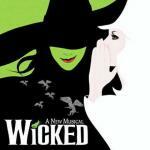 No Good Deed by Idina Menzel with length 3:31 – so fighting melody which at the beginning, a major war cry of performer is heard. The style is a musical, but by its tune, however, is not sweet and beautiful, but bursting with energy in notes flying in all directions, like the sparks showered from the shots of the hammer on the anvil. Enchanting and strong. Listen, when you need quickly to get a huge burst of energy.